San Antonio native Summer Glau will be at this year's Alamo City Comic Con in her home state Texas! The convention runs October 28-30 at the Henry B. Convention Center in San Antonio, TX. Summer will be appearing on Saturday and Sunday. As usual, she will be signing autographs and taking pictures with fans and she'll have a panel too. Say hi to San Antonio, Summer Glau! I hadn't seen the gorgeous Summer Glau in a couple of years so it was great to finally see her again with @gaminggoddess . She looks great and I still miss Firefly. Kurt photographed with Summer Glau at Alamo City Comic Con 2016 (left pic) and at StarFest 2010 in the Terminator Endoskeleton costume. It's not everyday you see Summer Glau force choking a Robin Hood (!!?) cosplayer armed with a light saber. For some reason, Summer Glau said "You look nice!" as this idiot walked up to her. (Flash/Click!) ... And he said "Not as nice as you look!" as he walked off. She later autographed this shot for him, saying "That turned out nice!" Nice lady. Summer Glau, Charlie Cox and @milliebbrown were so nice to replace my stolen autographs. @alamocitycon ended up great. I wonder if Summer is watching "The Walking Dead". 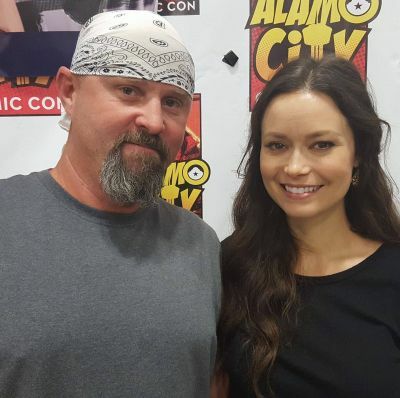 Always good to see the amazing Summer Glau at @alamocitycon, especially when she's posing with a familiar face. Summer and her husband Val (white t-shirt on the left). Summer and Val just absolutely made my days, week, month, year, LIFE! Such a amazingly fantastic time with them! 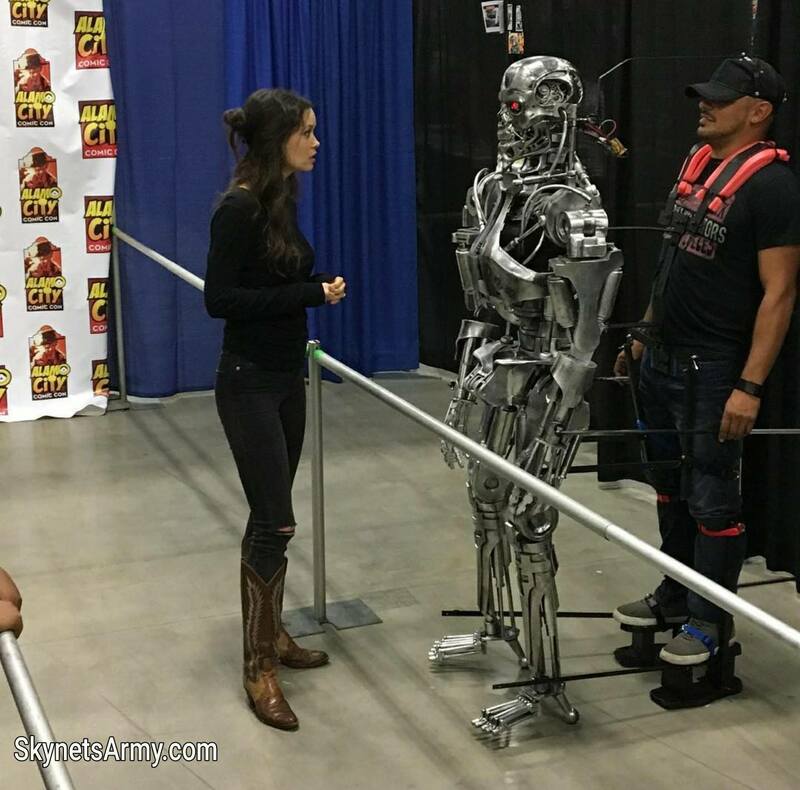 Fantastic T-800 Endoskeleton cosplay at Alamo City Comic Con last weekend! Summer seems fascinated by it. Summer greets her fans at 2:23!